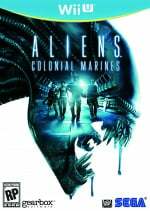 Aliens: Colonial Marines Wii U Definitely "Not a Port"
Gearbox is doing a lot of talking about Aliens: Colonial Marines on Wii U lately, but wants to make one thing clear: it's not a port. I hate that word. The Wii U version is not a port. Remove it from your vocabulary. Gearbox has so far only hinted at what sets the Wii U version apart from other console editions, but if we had to guess we'd say that big touch screen controller might be something to do with it. If it's not a port I then expect it to be running in 1080p. I'm looking forward to seeing how they use the u pad. Hopefully it's more than just a menu on the screen. If it supports th Wii remote plus + Nunchuck(Using Wii pointer controls like Metroid Prime 3 and Golden Eye 007)as an additional control scheme i may actually check this out. if not, i couldn't care less. The same deal goes for Ubisoft's quirky looking Light hearted Alien FPS. I don't know about that. If a senior producer is referring to it as a port then it's probably a port. I can see why a Community Manager might not like the term 'port' because it doesn't carry the best connotations, but I think we all know that's exactly what it is. Video games tend to have a main SKU and then are ported to other platforms, it's the nature of the business. @Mardt I think "port" suggests it's a straight-up translation with few positive changes, which it doesn't sound like this will be. I hope! I find ghat hard to believe. Up until. Es the game was still in the R&D phase and wasn't even an officalxproject acootfing to gearbox. @James - Well, if they're suggesting that the Wii U game will be a different game from the one that is being released on 360 and PS3 then that's fair enough, but If they're going to say that then I hope for their sake that it's a substantive difference and not a few minor interface changes. @james: A port is a game that's been built for one system then ported to another. Meaning it was not built from the ground up for that system. It always carries a negative connotation. It may be the same game as the PS360 version, but it was built from the ground up for the Wii. I think exploring the middle ground would be best for the situation. The game will obviously have basically the same graphics and the same engine along with some probable tweaks. The controls, on the other hand should be completely different and there will probably be some extra visual content that needs to be produced for the controller's screen. So graphics ported, gameplay and extras original. Of course, there is the possibility that this game will operate differently than the other two console versions since WiiU should be capable of some pretty mad processing power which will allow for more AI to be operating at once among other things. I think 'superior version' will be a better term for it when we finally hear all the juicy details at E3. The think it's because it's got negative connotations. Are the PS3 and 360 versions called ports? Nope(even though they are ports of PC code). So why if the game is launching simultaneously on PS3/360/PC/WiiU is the Wii U the only one regarded as a port? I don't expect the Wii U version to look much different than the 360/PS3 versions, perhaps having a slightly higher framerate or higher resolution, but generally looking the same. I think that the Wii U controller acting as a motion tracker will be what sets it apart though, as that will add so much more tension and atmosphere to the game. 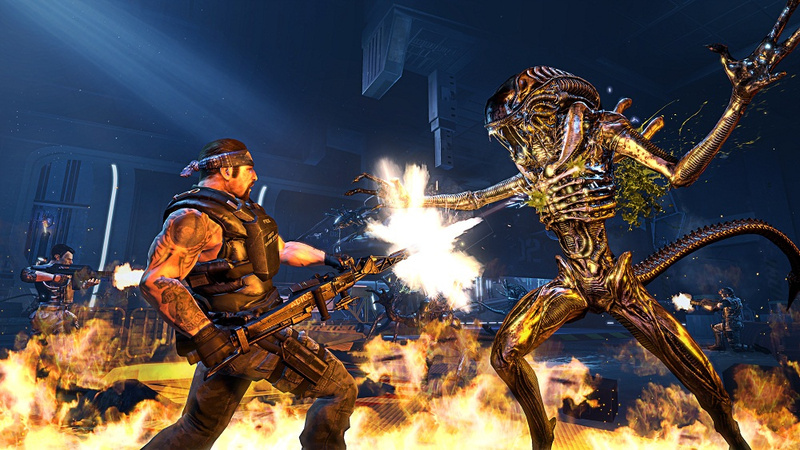 I wasn't even considering Aliens until the Wii U version and motion tracker was mentioned. Likewise I want to get Batman Arkham City even though I already own it on PS3 because I've heard that they are using the controller for some cool Bat gadgets. I think that the controller is going to make a big difference to a lot of games. The way Gearbox has been talking it definitely sounds like the Wii U will be the version to get. That said this quotes worries me a bit from an article at IGN talking about its new rendering engine that will be the next generation in graphics technology. "He also specifies that Aliens: Colonial Marines will make use of the deferred rendering engine on PS3, 360, and PC. The Wii U version presumably won't use it." Worries me slightly as it would match what those two developers said that the Wii U can't match the graphic capabilities of the other systems. @spawningblue - That's odd, considering Gearbox said the Wii U version would be "one of the best looking" (though that statement could be interpreted in many ways).